The Moon is Earth's only natural satellite and the fifth largest satellite in the Solar System. 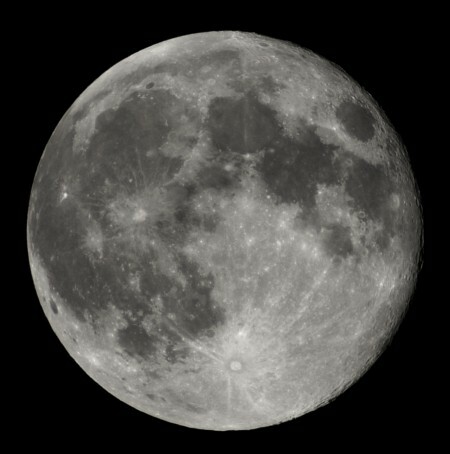 The Moon's surface area is less than a tenth of the Earth. The Moon is in synchronous rotation, which means it rotates about its axis in about the same time it takes to orbit the Earth. This results in it keeping nearly the same face turned towards the Earth at all times.